Reviews have compared it to Terry Pratchett and Douglas Adams. 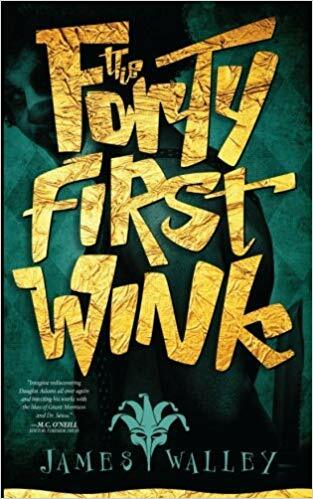 Equal parts epic, funny and dark, The Forty First Wink plummets headlong into the realms of askew reality, adding elements of the macabre, and squeezing in an unlikely love story for good measure. It will take you on a journey where not even the sky is the limit, and literally anything could be around the next corner. The question is, do you have the guts (and the sanity) to find out?